How about a Valcourt fireplace that has a face in two rooms at the same time. That is what the Westmount gives to the Valcourt line. Enjoy the view of the fire through its modern style doors. Great in a master suite between the bedroom and bathroom and so romantic! How about between a dining room and a living room? Or maybe between a dining room and a kitchen? 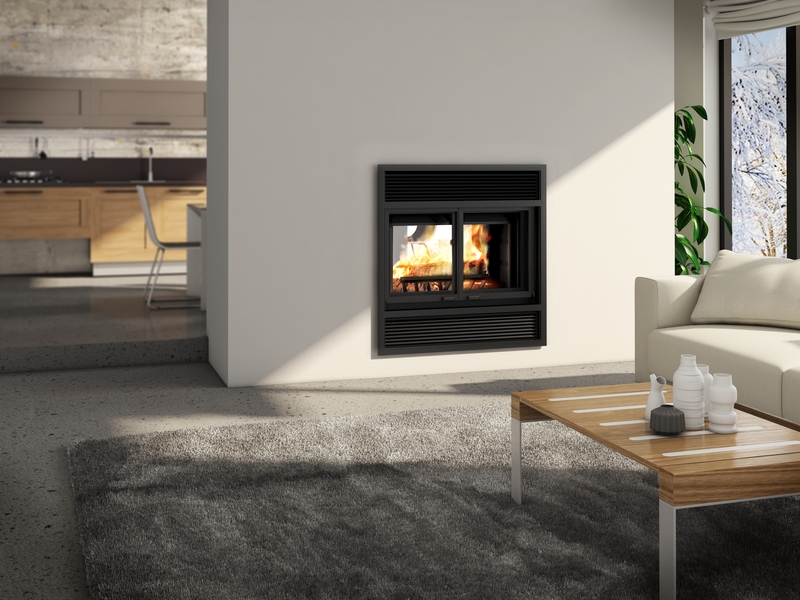 Whatever or wherever you desire a see-through fireplace, the Westmount is there for you. Enjoy the fire wherever you may happen to be!